Good morning! Welcome to Day 2 of sneak peeks for the September Release from Technique Tuesday! Woohoo!!! Lots of fun new stamps and dies in this release - make sure and check out the Technique Tuesday Blog to find links to all the Design Team's projects for today! 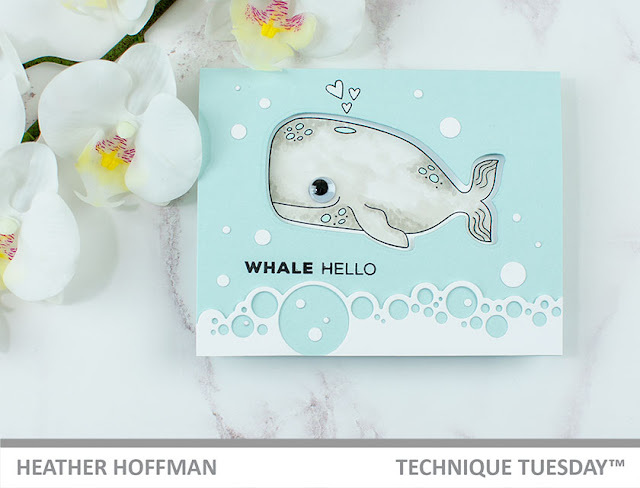 Today I have a sweet and simple little window card to share using the adorable new Wendall the Whale stamp set and coordinating dies! 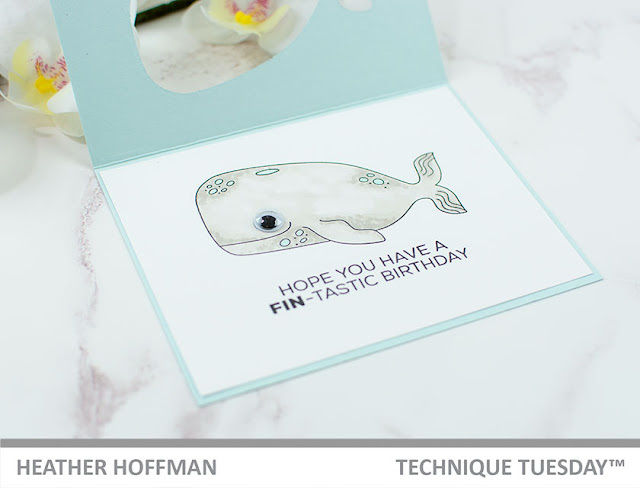 I first die cut a window from my soft blue cardbase using the Wendell the Whale dies, then lined the inside of the card with white cardstock and stamped the image on the inside, coloring with Copics. I added an extra sentiment on the inside - and of course, a wiggly eye for fun! Added some bubbles and fun on the outside with the Bubbles on the Border die from a previous release! 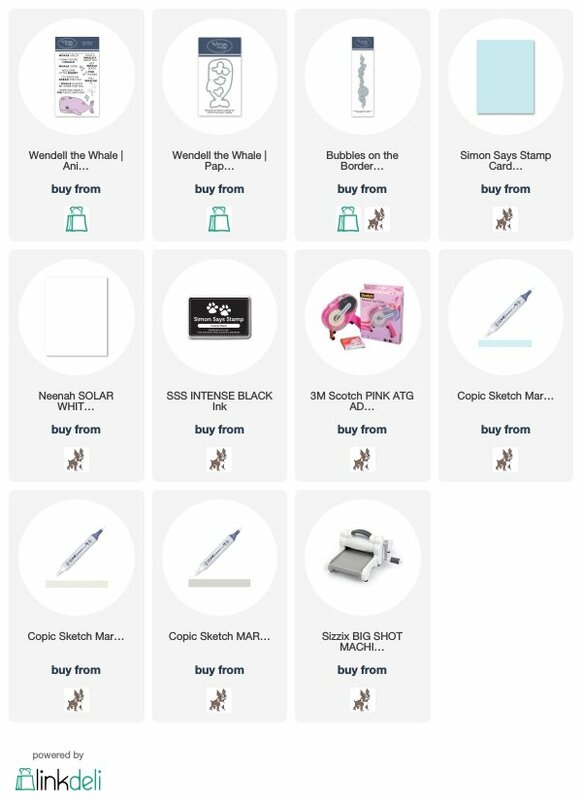 Product links are all below - including affiliate links where possible, which simply means if you use one of the links below, I receive a small commission at no additional cost to you. Thanks so much for stopping by - have a wonderful day!!! OH MY GOSH this is such an adorable card! That whale is just sooooo precious! and that googly eye! Hilarious! I love it! Fantastic, loving the idea of this card, so pretty in colours & brilliant effect with the bubbles as sea, going to keep this for inspiration if I may. 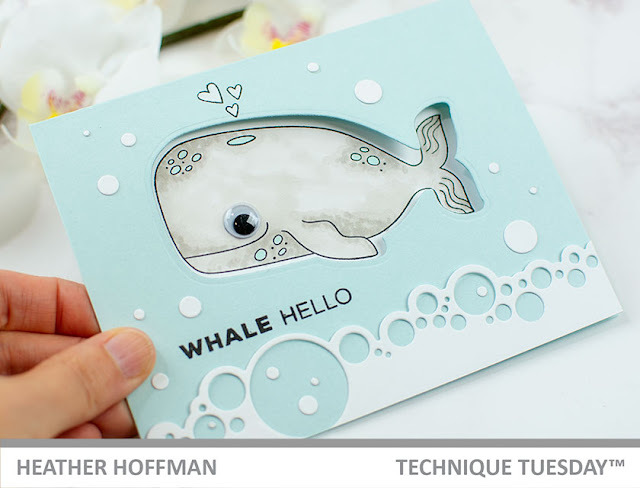 The bubbles border is the perfect complement to this cutie. Thanks for sharing your creativity. What a wonderful card. 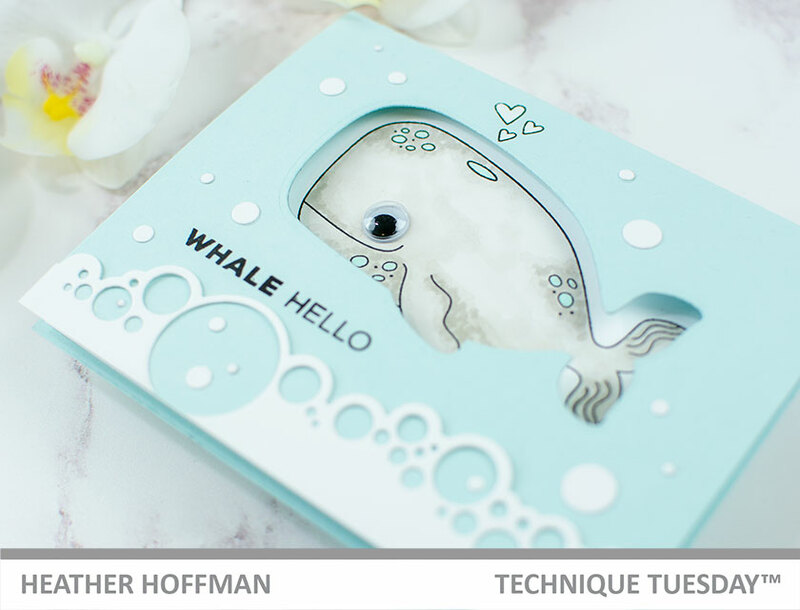 Love the Whale and the bubbles die is awesome.